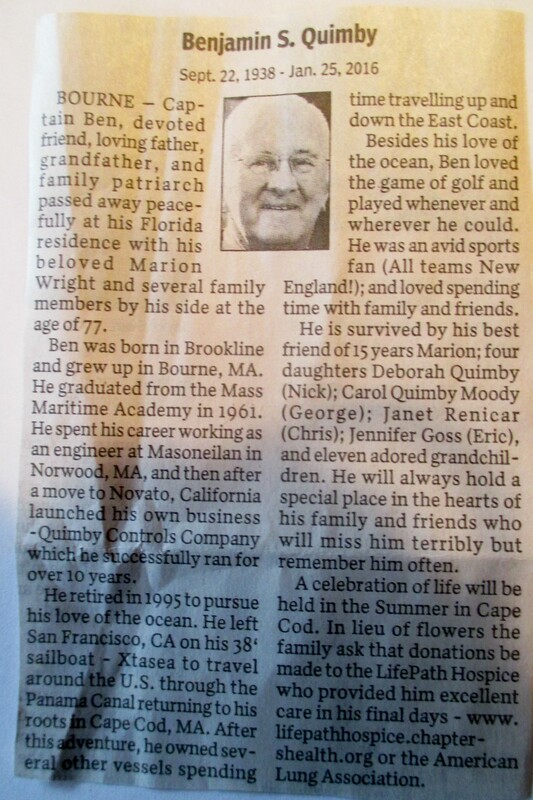 Born: May 19, 1913 in Elion N.Y.
Died: March 30, 1999 in Pocasset Ma. 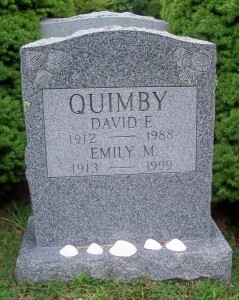 Married: October 26, 1933 in Raymond N.H.
1. Benjamin Spencer Quimby; (September 22, 1938 – January 25, 2016); Benjamin was a graduate of Bourne High School & Massachusetts Maritime Academy in Buzzards Bay Ma..